A riveting, powerful novel about a pilot living in a world filled with loss—and what he is willing to risk to rediscover, against all odds, connection, love, and grace. Hig survived the flu that killed everyone he knows. His wife is gone, his friends are dead, he lives in the hangar of a small abandoned airport with his dog, his only neighbor a gun-toting misanthrope. In his 1956 Cessna, Hig flies the perimeter of the airfield or sneaks off to the mountains to fish and to pretend that things are the way they used to be. But when a random transmission somehow beams through his radio, the voice ignites a hope deep inside him that a better life—something like his old life—exists beyond the airport. Risking everything, he flies past his point of no return—not enough fuel to get him home—following the trail of the static-broken voice on the radio. But what he encounters and what he must face—in the people he meets, and in himself—is both better and worse than anything he could have hoped for. 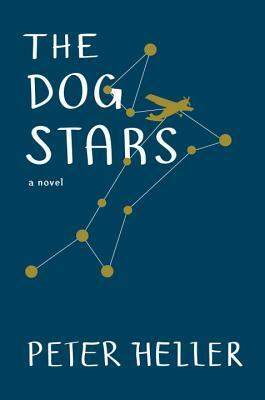 Narrated by a man who is part warrior and part dreamer, a hunter with a great shot and a heart that refuses to harden, The Dog Stars is both savagely funny and achingly sad, a breathtaking story about what it means to be human. Peter Heller holds an MFA from the Iowa Writers Workshop in both fiction and poetry. An award-winning adventure writer and longtime contributor to NPR, Heller is a contributing editor at "Outside" magazine, "Men s Journal, " and "National Geographic Adventure, " and a regular contributor to "Bloomberg" "Businessweek. "He is also the author of several nonfiction books, including "Kook," "The Whale Warriors, " and "Hell or High Water: Surviving Tibet s Tsangpo River." He lives in Denver, Colorado."